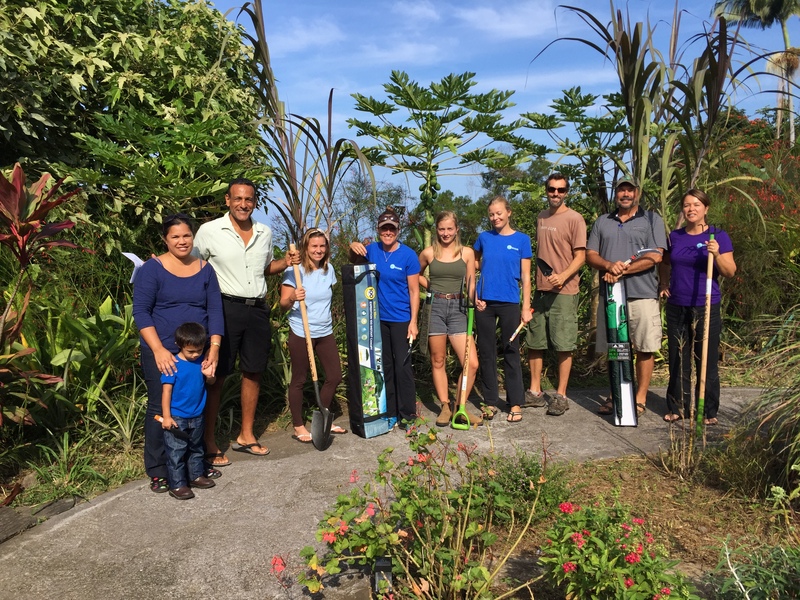 The Big Island’s AmeriCorps program, Farm Corps Hawai‘i, is operated by Friends of Kona Pacific Public Charter School in Kealakekua. The program’s goal is to increase food security in West Hawaii, and mobilizes sixteen AmeriCorps Members to provide services to several developing farm and school garden sites in Kona. 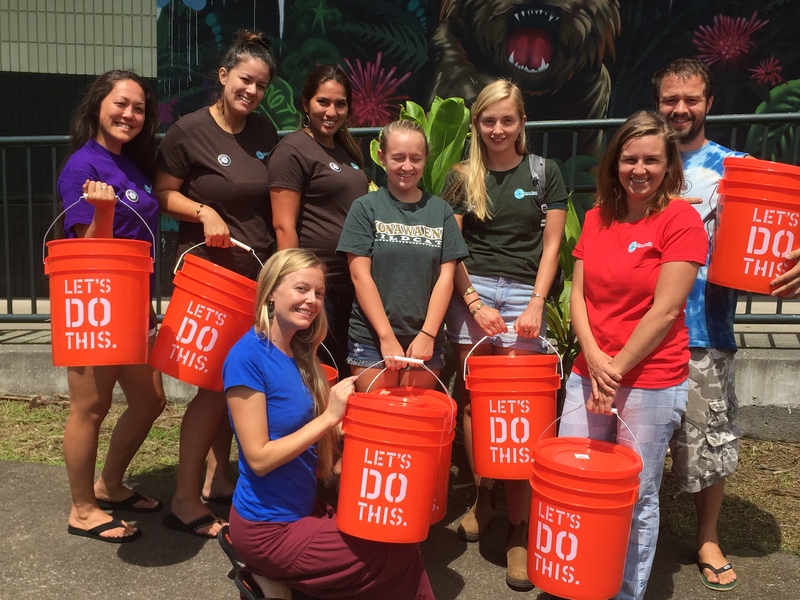 Currently, members are serving at local schools, Konawaena High School, Ke Kula o Ehunuikaimalino and Kona Pacific Public Charter School. The team of FarmCorps Hawai‘i members also help provide the critically needed expertise and manpower to increase the rate of existing farm development in West Hawai‘i by assisting farmers at UpCountry Farm and Nursery, Ua Nahele Mahiai, Honaunau Farm and Friends’ Kanaueue Learning Center production farm, which provides produce for Kona Pacific’s WHOLE Foodservice supplying daily meals to more than 650 of our community’s most vulnerable citizens, particularly children and elders. FarmCorps Hawai‘i is also an immersive experience that leaves members with a deeper understanding of sustainable agriculture, a foundation of entrepreneurial skills, and practical knowledge to plan for and start their own farming operation. Members, while serving their community, also receive ongoing training and professional certifications, and learn in-depth skills from mentor farmers. “FarmCorps Hawai‘i is helping establish change locally and providing opportunities for growing food and educating young farmers that is essential for the future success of our food resources. There is nothing more powerful than eating food grown in your own backyard,” says Shannon Ramirez, FarmCorps Hawaii program director and alumni AmeriCorps member. FarmCorps Hawai‘i is an AmeriCorps program funded by the Hawaii Commission for National and Community Service (HCNCS) and other donors. The mission of HCNCS is to support and nurture the development of a firm, lifelong commitment to serve Hawaii’s people by engaging adults in intensive community service work with the goal of meeting critical community needs. AmeriCorps programs do more than move communities forward; they also serve their members by creating jobs and providing pathways to opportunity for young people entering the workforce. AmeriCorps places thousands of young adults into intensive service positions where they learn valuable work skills, earn money for education, and develop an appreciation for citizenship. 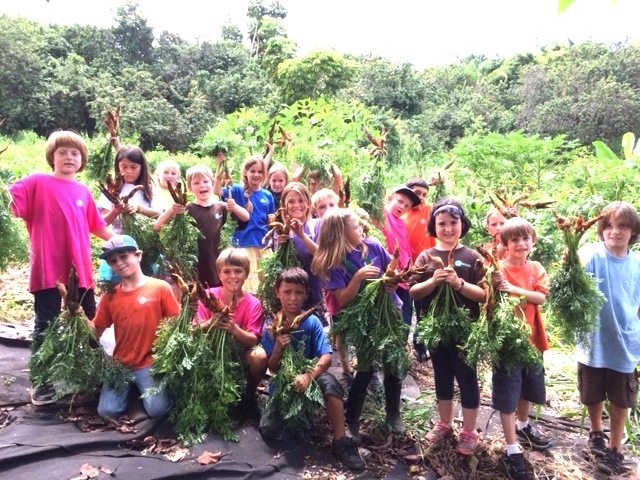 FarmCorps Hawai‘i, in its second year of operation, has plans for expansion in 2016–17 so that more school gardens and local farms can receive assistance. In 2017, the FarmCorps Hawaii program will also be integrated with Friends’ West Hawaii Community Kitchen, to assist local farmers in the use of the new kitchen’s value-added processing facilities. The community kitchen was funded with a $1.2 million grant-in-aid from the Hawaii State Legislature, and will be built on Friend’s 40-acre learning center above Kona Community Hospital in Kealakekua. Along with the value-added processing program for local farmers, the kitchen will also house the WHOLE Food Service operations. Friends is a nonprofit corporation, founded in 2006 as an affiliated support organization for Kona Pacific Public Charter School (Kona Pacific). 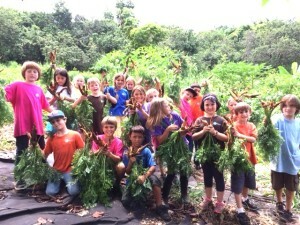 Together, Friends and Kona Pacific have created critically needed economic and social development for our community via a number of educational, agricultural and Hawaiian cultural initiatives that generate 40 full time and 25 part time jobs and an operational budget that adds more than $2 million annually to our local economy. This entry was posted in FarmCorps Hawai‘i on April 8, 2016 by Ana Currie Ramirez.